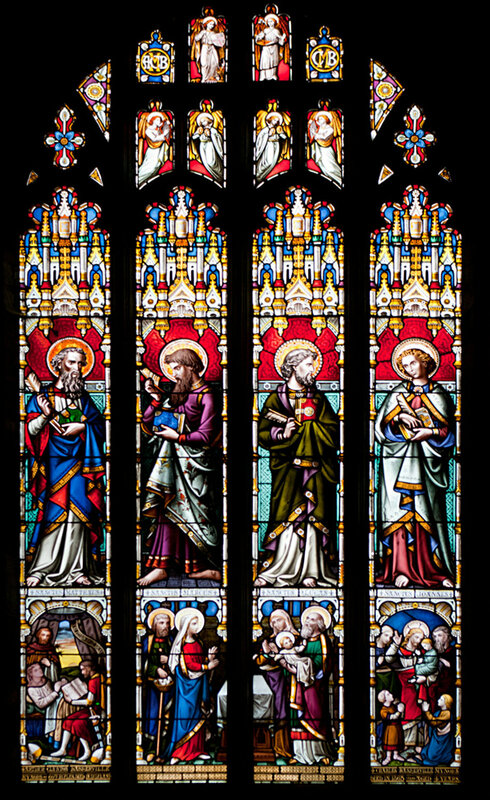 The large east window was commissioned by the Rev. Edward Higgins of Bosbury House and is dedicated to his two grandsons. It was made by William Wailes of Messrs. Wailes and Strang at Newcastle-on-Tyne in 1880. 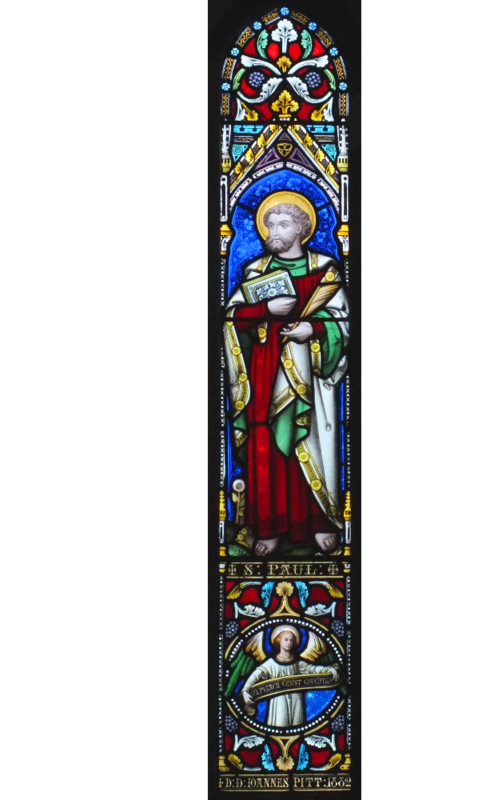 It shows the gospel saints, Matthew, Mark Luke and John and below four scenes including the Presentation in the Temple and Christ’s Blessing of the Little Children. Below the left panel are the words: ARTHUR CLINTON BASKERVILLE MYNORS. 60th RIFLES. DIED IN ZULULAND. and below the right panel: CHARLES BASKERVILLE MYNORS. DIED 1863 AGED 4 YEARS. Photo courtesy of Philip Halling. A small north window in the nave is in memory of Mrs. Marian Buck of The Noverings. 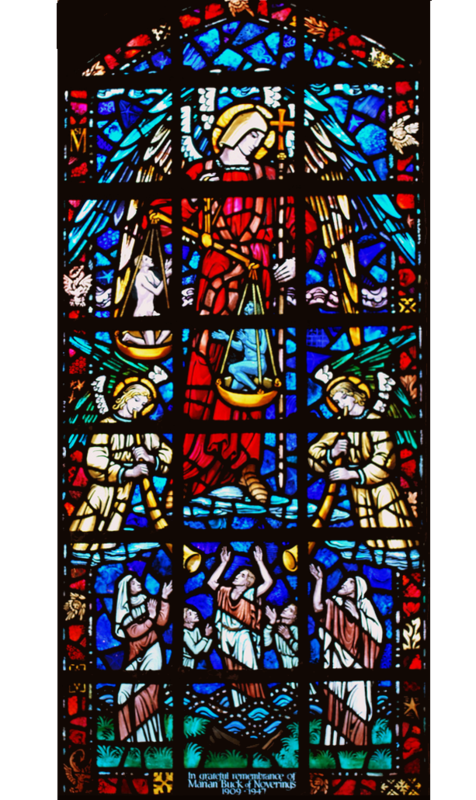 It was commissioned from Carl Edwards in 1957 and shows St. Michael the Archangel. 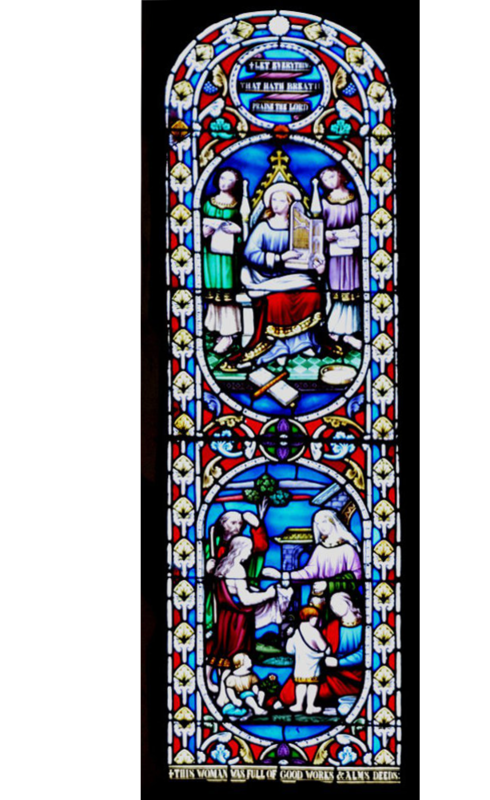 The high west window is dedicated to Mrs. Ellen Hope, the widow of Rev.F.W.Hope and the sister of Mrs. Higgins of Bosbury House, paid for by the parishioners. It shows St.Cecilia above and Dorcas below. The words above are “Let everything that hath breath praise the Lord”. And below: “This woman was full of good works and alms-deeds. A small stained glass window in the south wall of the nave is set immediately above memorials to the Mutlow family. 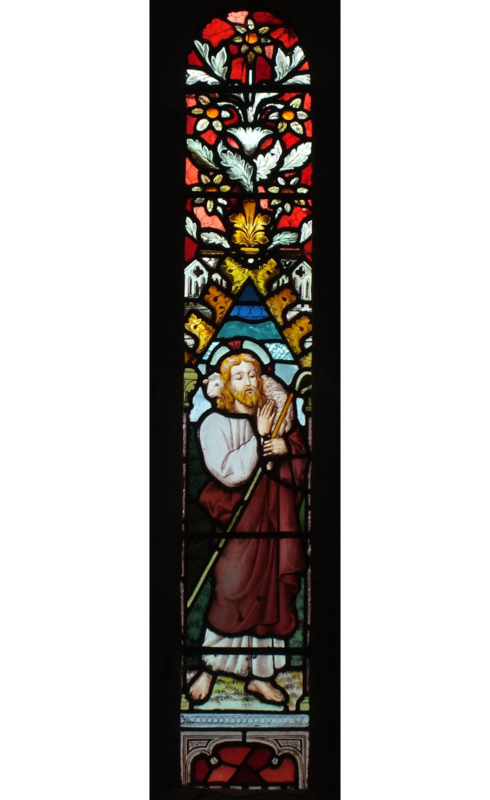 It shows Christ, the Good Shepherd. A small stained glass window in the north wall of the chancel is set immediately above a memorial to John Harford Pitt. A small stained glass window in the south wall of the chancel is set immediately above a memorial to John Stedman. 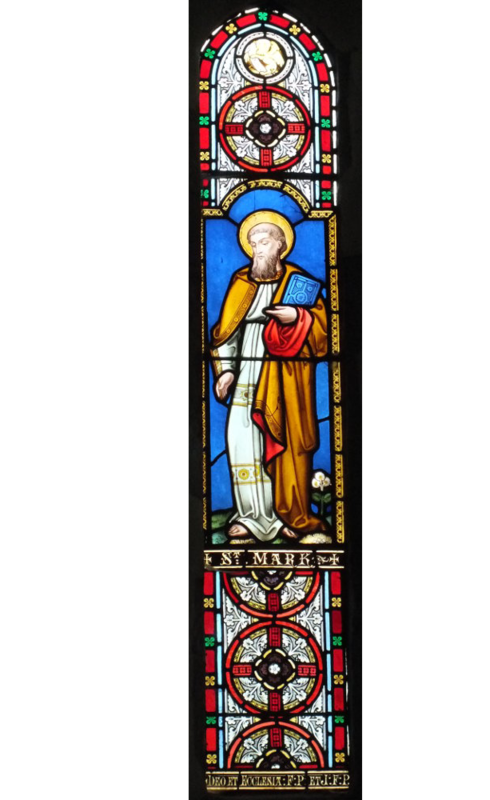 Commissioned by the Reverend Frederick Poynder of Cheltenham, it was also made by Messrs. Wailes and Strang.